I’m once again playing host with those behind the Oak City CRE Newsletter and Inbound Raleigh, other fine media projects that you should follow and subscribe to. Date/Time: Tues., Feb. 19 from 5:30 p.m. to 7:30 p.m. The Next Reader Meetup is on October 3, 2018! It’s meetup time! Come join us for our fourth reader/listener meetup! This is a casual, social event where you can chitchat about downtown Raleigh, transit, development and more. Each time we’ll choose a slightly different mix of area bloggers/podcasters related to Raleigh. We have a lot of fun conversation with amazing people doing cool things in Raleigh! Date/Time: Wed., Oct. 3 from 5:30 p.m. to 7:30 p.m.
Another season, another great time for a reader meetup. I hope some of you are in town the week of Memorial Day because if you are, come join us at the London Bridge Pub on May 30 from 5-7pm. The format is casual and the folks that come out are always a classy bunch. 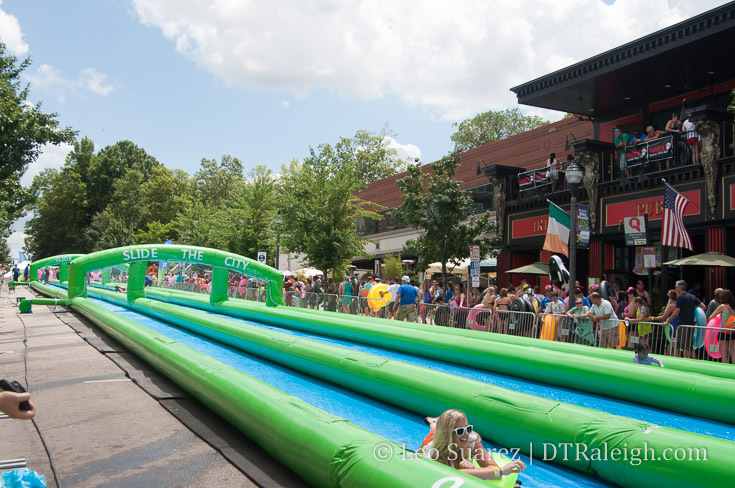 Oak City CRE, a newsletter about Raleigh development projects. Neighbors of Raleigh, a podcast featuring the stories of Raleigh. Inbound Raleigh, a podcast about transit and transportation in Raleigh. Date/Time: Wed., May 30, 2018 from 5 p.m. to 7 p.m. I think this one will be a good one. See you there. From my inbox to yours. 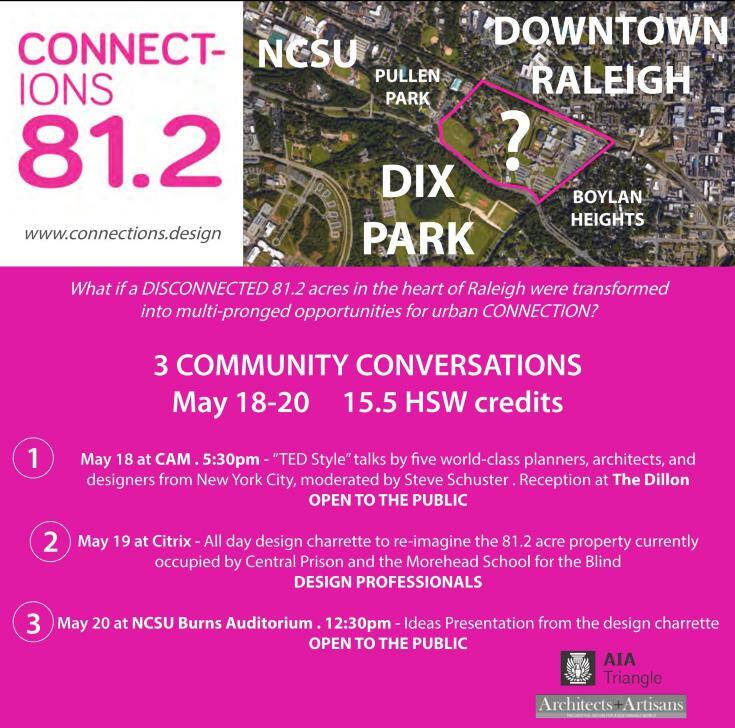 Here’s a pretty good looking series of events being held by the AIA Triangle. We’ve speculated some about what the land consisting of the state’s Central Prison and Morehead school could be. Here’s an opportunity to get into that with the design community. For those of you that don’t know, I currently sit on the Friends of the City of Raleigh Museum board. 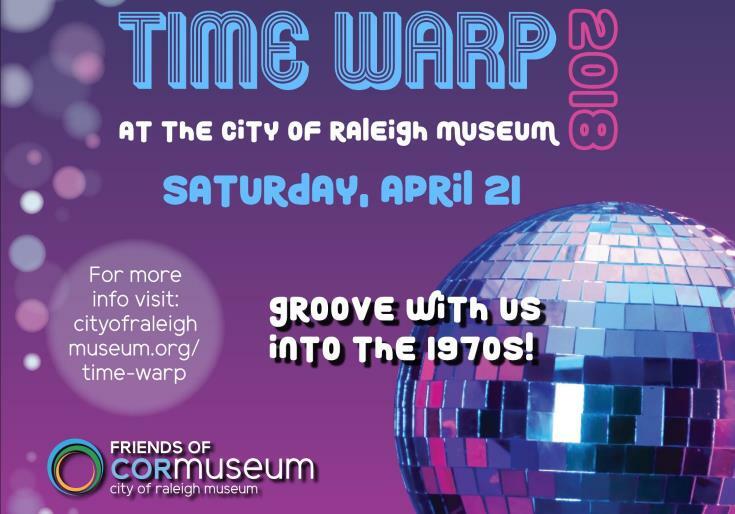 New to this term year, I have stepped up to the plate and am helping plan the friend’s annual, flagship fundraising party, Time Warp. I want to invite all readers to check it out on Saturday, April 21. Time Warp has been going on for a little while but this year is a good year to finally attend. (or come back!) The folks at the museum are working on a big, new exhibit that I know blog readers will enjoy. Our fundraising efforts will have a direct impact on this new venture. Date/Time: Sat., April. 21 from 7 p.m. to 10 p.m.
With a $1 million price tag, the City of Raleigh has challenged us to raise $500,000 towards the new exhibit. They will then match each dollar to get us to our goal. Time Warp is the best way to take a chunk out of that target! The new exhibit will be about Raleigh’s past and how some big decisions shaped its path towards today. It will try to show how planning, infrastructure, and services play a role in our everyday lives whether we interact with them or not. It will truly show where we came from, where we are today, and how it might affect the future of Raleigh. It’s a big project and I’m excited to be a part of helping to get the museum this new exhibit that will really showcase it. As far as Time Warp goes, this year, we’re doing the 1970s. Make sure to dress up cause everyone gets automatically entered into a costume contest. If dancing is your thing, we’re doing a dance contest also. There will be plenty of food and drink to make the ticket price worth it too. 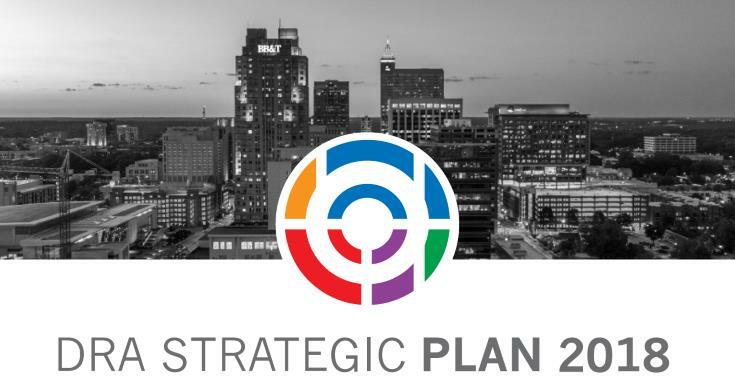 Let me know how I can get you there on April 21 or if you are with a Raleigh-area business that wants to join our growing list of sponsors. Find out more here. From my inbox to yours. 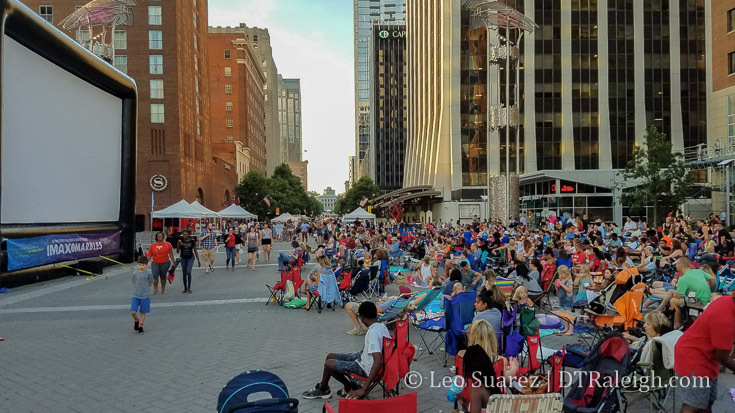 Keep these community events on your calendar if you’re interested in helping the Downtown Raleigh Alliance form their 2018-2020 plan. They are looking for citizen input and this is a great way to meet the team and weigh in on downtown topics. Community Meeting #2: Assessing the Downtown – What other ways can DRA serve the community? Community Meeting #3: Assessing the Draft Strategic Direction – Where should the DRA go from here? 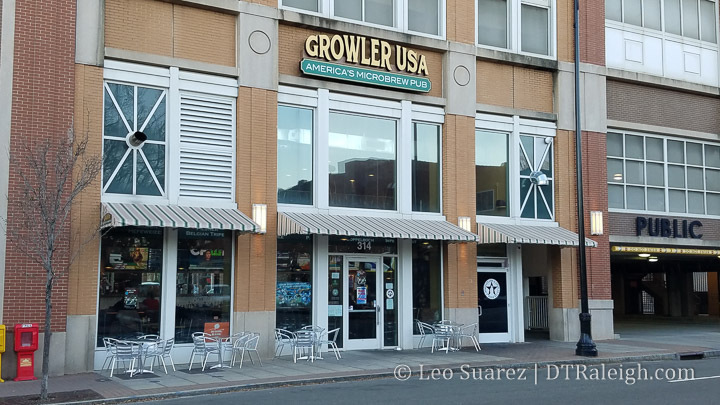 Reader Meetup on Tuesday 2/20! Fantastic turnout to our meet up! Get this one on your calendars. We’re organizing the next reader meetup for the season. We had so much fun at the Fall 2017 meetup, we just had to do another. Date/Time: Tues., Feb. 20 from 5:30 p.m. to 7:30 p.m.
As an effort to help cross promote and bring new people together, I’m partnering with those behind the Raleigh-transit focused podcast, Inbound Raleigh, as well as the food and retail blog Welcome to Raleighwood. They are all good people that deserve your attention. We should be back in Tobacco Road’s game room and will be keeping it casual. Come out and say hi!